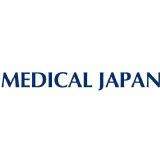 MEDICAL JAPAN, consisting of 6 specialised shows: Medical Devices & Hospital Equipment Expo OSAKA, Hospital BPO Services Expo OSAKA, Medical IT Expo OSAKA, Elderly Care & Nursing Expo OSAKA, Community Care Expo OSAKA and Medical Device Development Expo OSAKA, is the Japan's leading trade show. With the great support from The Ministry of Health, Labour and Welfare in Japan, MEDICAL JAPAN is gathering attention. A large number of medical and elderly care experts will visit and have active negotiations/consultations with the exhibitors at the venue.